Movement has been a way of life for the newest member of the Tulsa Spine and Rehab team because Dustin Radloff was born into a military family. His father’s career path meant Dustin was born in Alabama, relocated to Oregon, where he found his calling for natural health, and ultimately being raised in Norman. Along the way, Dustin became involved in gymnastics, pole vaulting, martial arts, football and diving. He competed as a nationally ranked gymnast, as well as, placing second in a state diving competition in Oklahoma. Not content to stand still, Dustin kept going to become a Cross Fit Level 1 Certified Trainer. 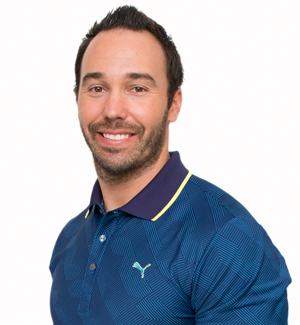 He has also earned certification in Advanced Muscle Integration Technique, just one of 53 professionals with this level of certification in the US. Put simply, Advanced Muscle Integration enables Dustin to identify areas of instability in the body, which can, in most cases lead to injury. Through advanced techniques, he’s able to assist in correcting these instabilities which leads to improved function, reduce pain, and increased performance. While moving here from Springfield, Illinois has enabled Dustin to be closer to family in Norman, it was our integrated approach that attracted him to join the Tulsa Spine and Rehab team. Once he’s settled in, Dustin says he’s looking forward to finding more time for fishing, rock climbing and, of course, cross-fit because movement is just part of who he is.